We can help you get rid of stubborn body fat with advanced and minimally invasive VASER 2.0 Liposuction. Advanced internal ultrasound technology allows more efficient and less traumatic fat removal and body sculpting and allows for immediate fat transfer procedures. 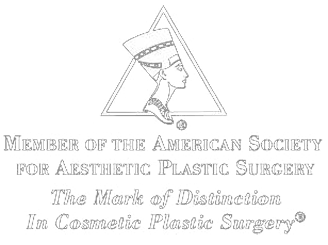 There is no longer a need to further process the harvest fat prior to injection transfer which was a very time-consuming process. We are able to immediately transfer the harvested fat to areas for injection such as the lips, face, and muscles of many body areas where enhanced definition is desired. Although Vaser 2.0 Liposuction does require incisions (it is still minimally invasive surgery), the increased efficiency of the device and less traumatic technique make it possible to offer the procedure in our office under oral sedation and local anesthesia, or in the outpatient surgery center under IV sedation and/or light general anesthesia. The aesthetic outcome is uncompromised. The same advanced techniques are offered in the office setting or OR. Dr. Samuels is pleased to offer the latest technique in body contouring to all patients considering liposuction or a tummy tuck with liposuction. Liposelection by Vaser® is a new way to precisely and efficiently remove unwanted fat. Liposelection uses the newest ultrasound technology to reshape your body by first liquefying and then removing fat from the body while leaving other important tissues intact. Patients report low to minimal pain, swelling, and bruising as well as quicker recovery than with traditional liposuction methods. You owe it to yourself to entrust your body to the best techniques available! Call our office for more information. The best candidates for liposuction are patients who are near their "goal" weight and who have relatively tight skin in the area of consideration. If the skin is prohibitively loose or has stretch marks, one of the lift procedures may be recommended instead of, or in addition to, liposuction. The procedure is performed as an outpatient under either local anesthesia with sedation or light general anesthesia. You will be fitted with a compression garment or girdle to wear for about ten days to two weeks, and recovery time is three to four days. Post-procedure massage techniques will also be discussed with you to hasten your recovery time. Final results are visible at two to three months. As long as patients maintain a consistent weight after liposuction, results are quite long-lasting. Fat cells removed are gone forever, although with weight gain, remaining fat cells may enlarge. Liposuction dose not make treated patients gain weight elsewhere (a popular myth of liposuction), but adjacent areas not as thoroughly treated by the liposuction may appear proportionally larger after weight gain which occurs after the liposuction has been performed. Liposuction is the most commonly requested plastic surgical procedure, and like some other cosmetic procedures, is occasionally performed by under-qualified physicians of other specialties. You are advised to thoroughly research the qualifications of any surgeon you are considering seeking consultation with prior to scheduling a procedure, to ensure the best and most uncomplicated results.